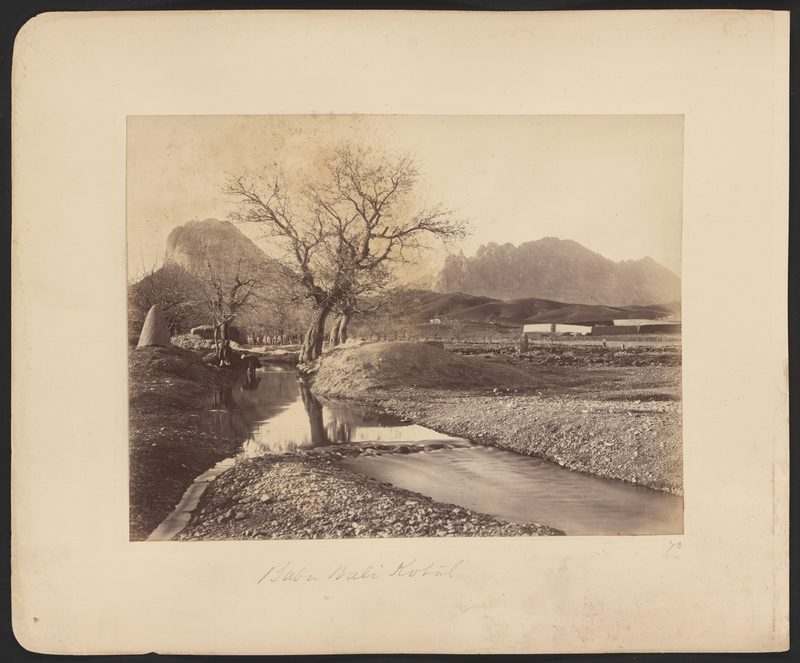 This photograph of Baba Wali Kotal is from an album of rare historical photographs depicting people and places associated with the Second Anglo-Afghan War. The village and pass of Baba Wali were named for a Kandahari holy man whose tomb was nearby. The place was the site of a major battle outside Kandahar in September 1880, between Afghan forces led by Ghazi Mohammad Ayub Khan (1857–1914) and British and Indian forces under Sir Frederick Roberts (1832–1914). 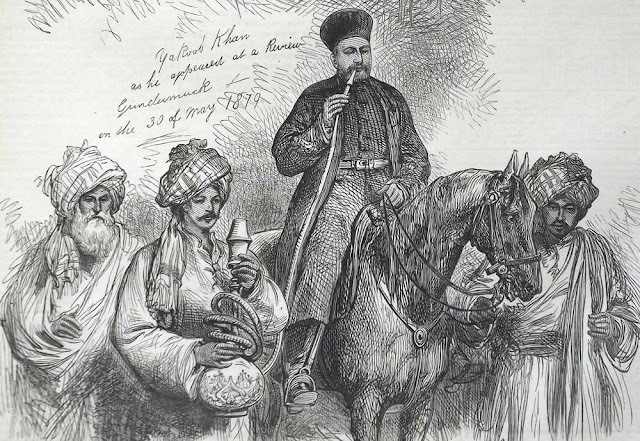 The British defeated Ayub Khan, raising his siege of the city and effectively ending the war. Shown here is the site of the battle and the British defensive lines. In the background on the left is the mountain with the Chilzina (a chamber carved out of the rock); another mountain can be seen on the right. Ayub Khan placed his artillery between these two peaks.